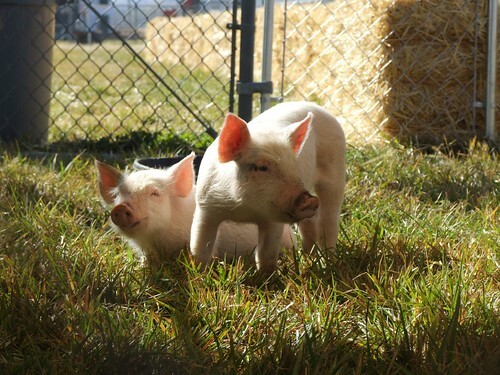 I made a visit this morning to the Corley Ranch south of Gardnerville. Accompanying me was about 50 3-to-5-year-olds; it was actually a field trip for my son’s school. The Corely Ranch is a real, working ranch with a history that goes back to the Dangbergs in the 1860s. 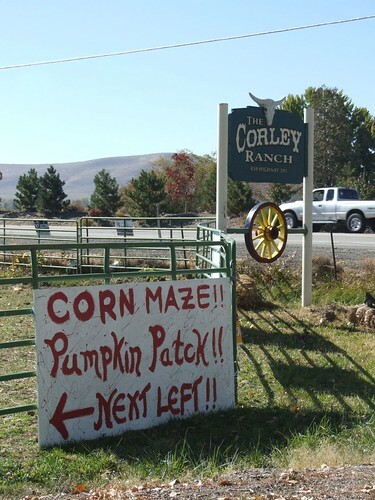 But with times being so tough for small, family farms, the Corleys have branched out into tourism and entertainment. 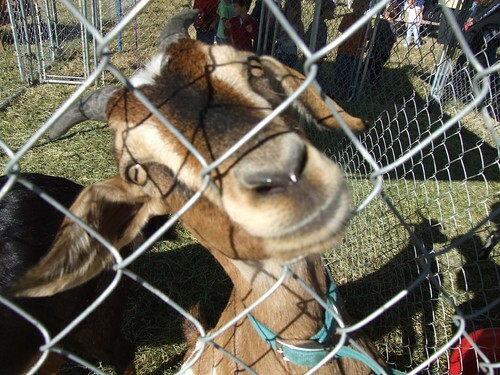 That’s why, every October, they open their doors for the Corley Harvest Festival. 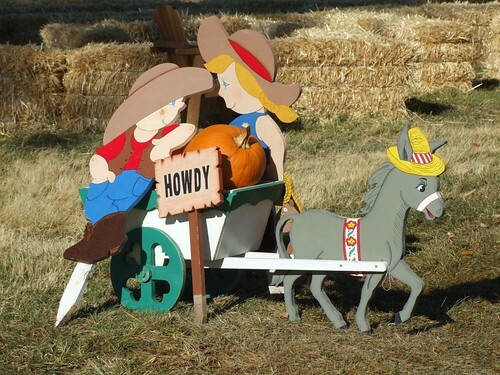 Part of their ranch is sectioned off and they set up a pumpkin patch, corn maze, petting zoo, and other activites for kids and families. 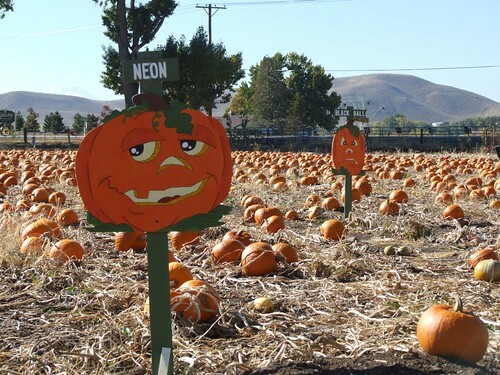 The pumpkin patch is open to the public every weekend in October, and during the week they invite schools to come for field trips. 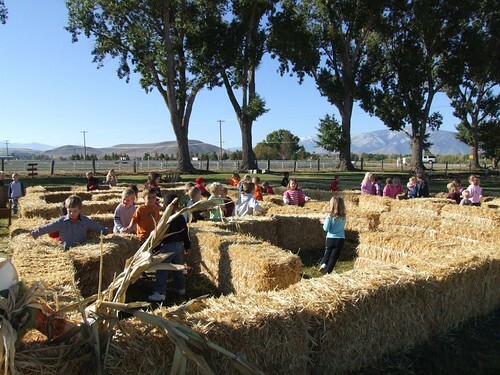 They let the kids try their hands at roping cattle (or wooden cattle dolls, at least), they have a hay maze set up so the little ones can run around and still be seen by the adults, and they open up the petting zoo so the kids can see the goats, cattle, and little piggies. 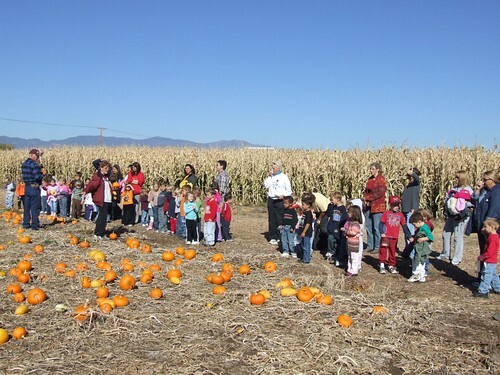 At the end of the trip they turn the kids loose into the pumpkin patch and everybody gets to choose their very own pumpkin to take home. It’s a ton of fun for the kids, and it was Sammy’s first real field trip. 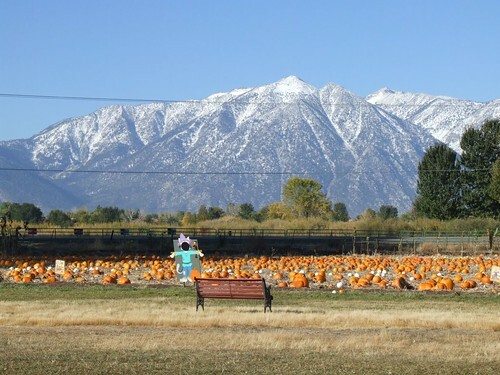 The Corley Ranch is one of the Carson Valley’s only actual on-ranch pumpkin patches. If you’ve going to visit, just drive south on 395 until you’ve passed the 7-11 and left town, then look for the signs. I’ve picked out a few pitcures from the visit to highlight here. But, as usual, you can see many more over at Flickr. See the rest of the pictures!